Although many times you might need to add a vacancy and get searching straight away, on other occasions you might wish to add your role and advertise it immediately. We've linked a few artlices here to take you through that process end to end, including how you can easily process the applicants you'll receive. Learn how to add the vacancy, populate the key fields and set up an automated search that you can work through once your advert is posted. Having added your vacancy, you can quickly and easily post one single advert out across your preferred job boards and social sources. 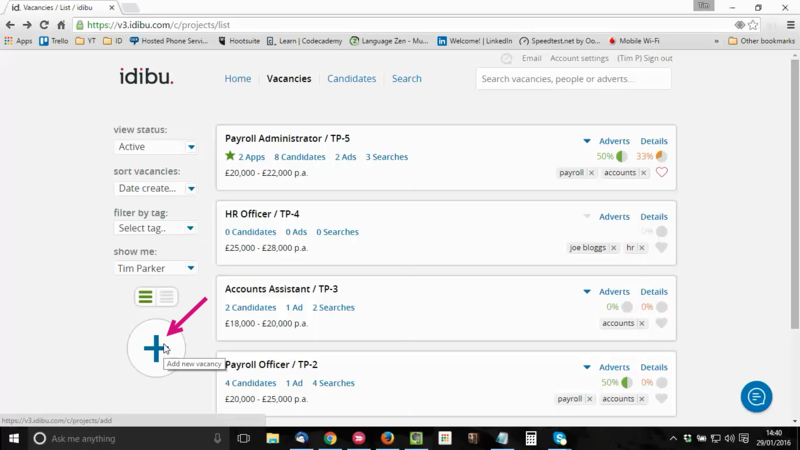 Applicants responding to any of your adverts will all appear inside the vacancy Applicant Tracking System (ATS). Here you can learn how to manage them and process their applications through the ATS workstream.